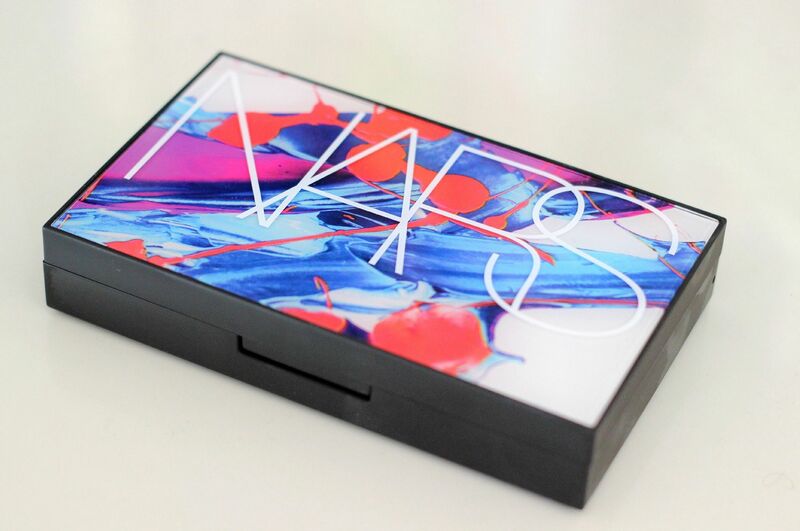 NARS True Lip Crayon set. I’m not even going to try and justify this. It was obviously going to happen. 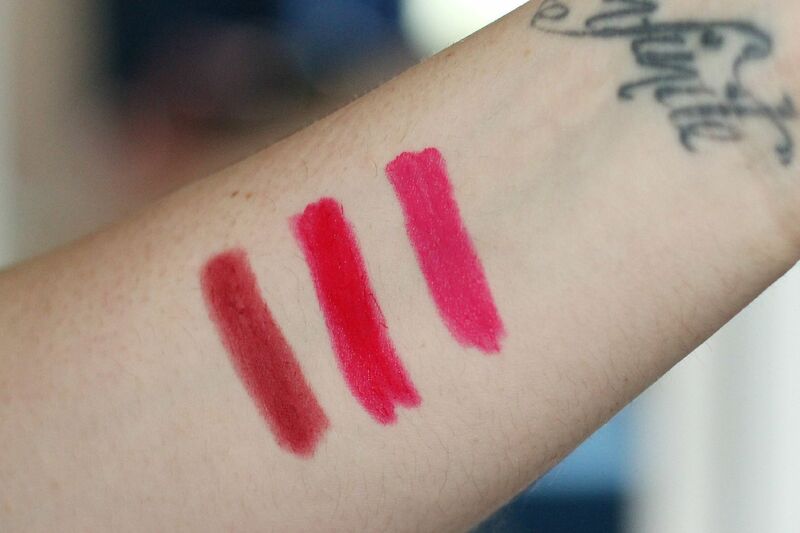 I mean, you’re talking to a huge fan of the NARS lip pencils and general makeup obsessive right now. You knew it was going to happen. I will add quickly that the set was the equivalent of ‘buy one and a half and get one and a half free plus a fancy box…’ Undeniable maths. 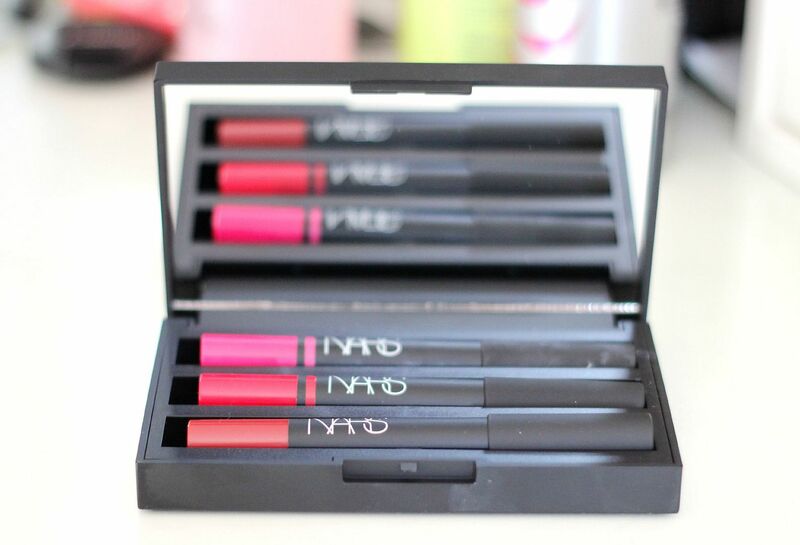 The set, which I can’t find online but saw very recently still in stock in Selfridges, contains three lip pencils, all in rich and bright shades. Yu is a bright, blue based pink that I had been thinking about for a while. With bright pinks, matte is a winner for me because then it doesn’t look too much like Barbie. Oh wait, matte is always a winner for me. 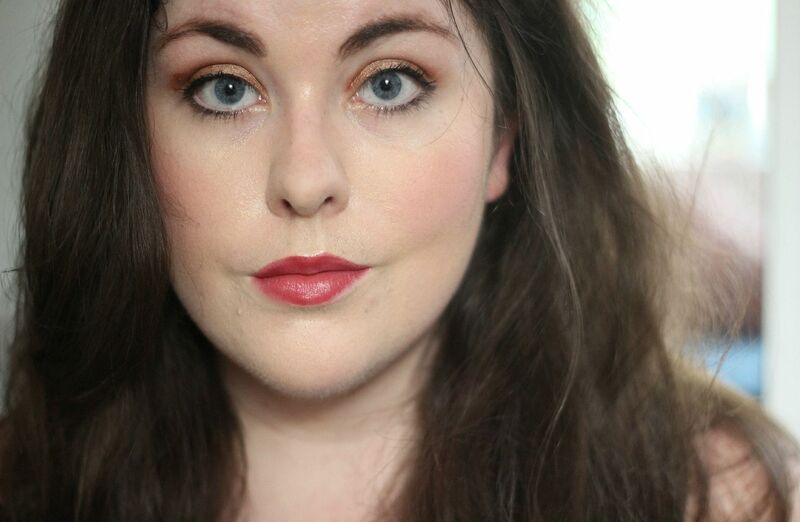 This is a Satin finish from NARS, but it does massively stain the lips and last a really long time. Mmm. Added bonus, if someone asks what lipstick you’re wearing you can say ‘you’ and it will oh-so creepy. Luxembourg is a pink red that makes me think of watermelons. A really juicy red, that will brighten your complexion easily. Another satin finish, but again this lasts for ages, feels comfortable and leaves a pretty stain behind on the lips. I could have sworn I already owned this, but I can’t find it anywhere… not complaining. Lastly, the set exclusive – Provocative red. This is a matte finish, but actually feels the least matte in the three pencils. This is an easy red, a very grown up and chic red. It has enough brown in it to not be too bright, so perfect if you’re scared of pillar box reds. A little bit of a brick red, this feels so elegant and I imagine someone in the 1940s wearing this – don’t know why! 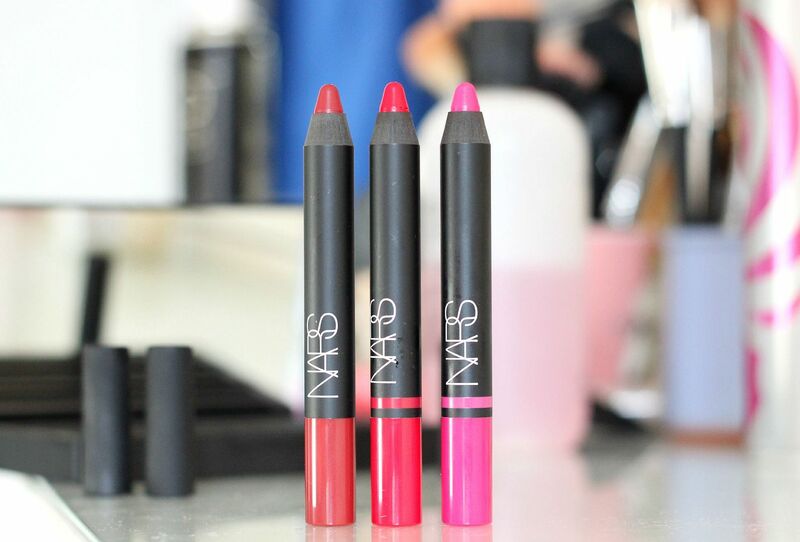 Are you a fan of NARS lip pencils – what’s your favourite?